​National Stop The Bleed Day brings Bleeding Control (B-CON) Instructors and students together for a day of training. Free of charge. The Redondo Beach Police Department will be participating in National Stop The Bleed Day. Please come by for free training! For information on this particular event, please contact Lt. Shawn Freeman of the Redondo Beach Police Department at shawn.freeman@redondo.org. Gregg and Alison Nevarez are longtime members of the South Bay and have resided in Redondo Beach for several years. They are active in their community and care deeply about helping others. With an extensive background in CPR and First Aid Training, Gregg often speaks with friends and family about life-saving techniques everyone should know. One particular friend, who also happens to be the owner of multiple dachshunds, witnessed one of his dogs bite into a lamp wire, at which point the dog was instantly electrocuted and thrown into respiratory and cardiac arrest. Their friend, in the best way he could remember, performed cardiac compressions on his dachshund and breathed into his snout before rushing him to the vet. To his surprise, the dachshund began breathing! Though the dog had acquired burns around his mouth, it did recover and went on to live a happy life for many more years. Days after the event, their friend reached out, thanking Gregg for the training he'd given so long ago that ultimately helped save his pet's life. It was then that Gregg and Alison realized this was just one story of many, and Pooch Paramedic was born. 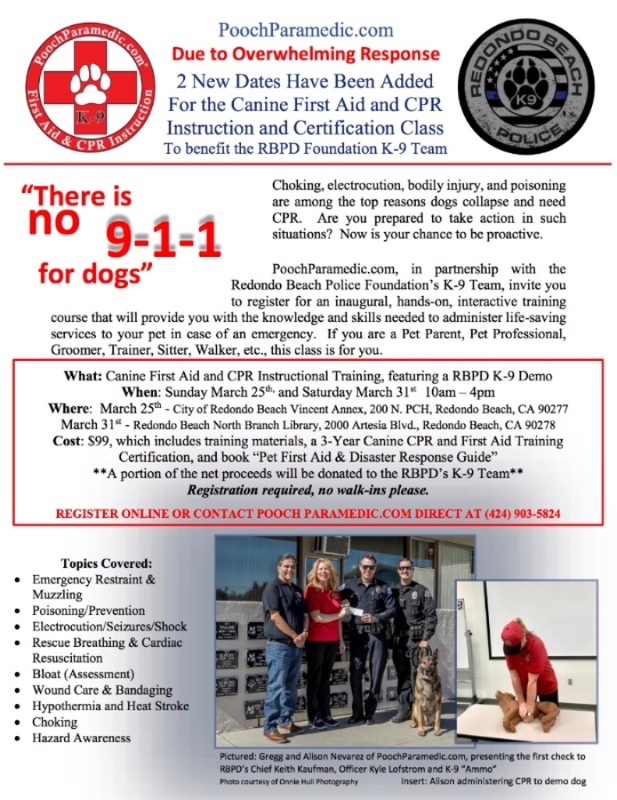 Gregg and Alison have since created training programs to educate pet owners and pet professionals from all walks of life, helping them regain control in an emergency situation, where they would otherwise feel helpless and scared. Their extensive backgrounds, which are listed below, outline their professional experience and training, as well as their capability of creating educational courses based on real-life experiences. There is no 9-1-1 for dogs. Education is prevention. 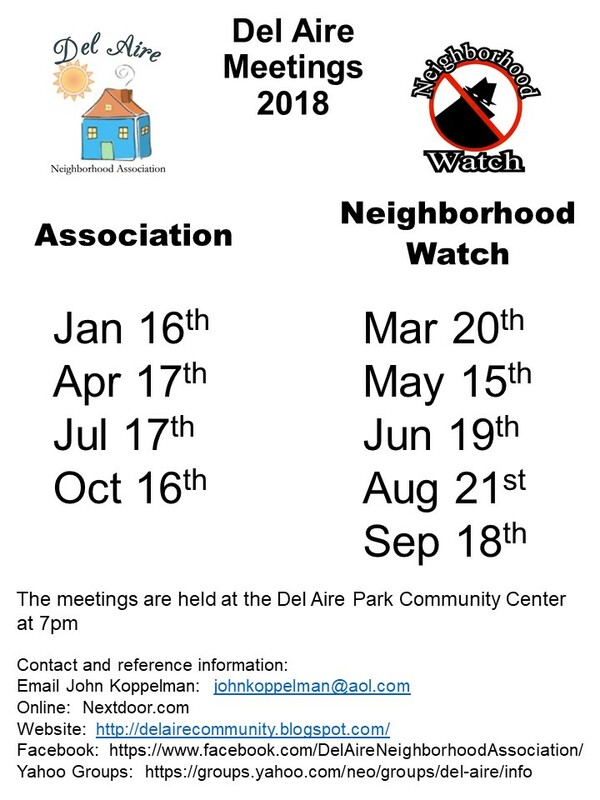 This Tuesday evening we will have our next neighborhood watch meeting. According to the data we have received from our local law enforcement, we have had a good start since the beginning of the year. We will look at the statistics and trends and reinforce our security strategy. Please spread the this message to our neighbors that do not have online presences and invite them.